If there is one thing us travel bloggers know well it’s the importance of good luggage for a successful journey. 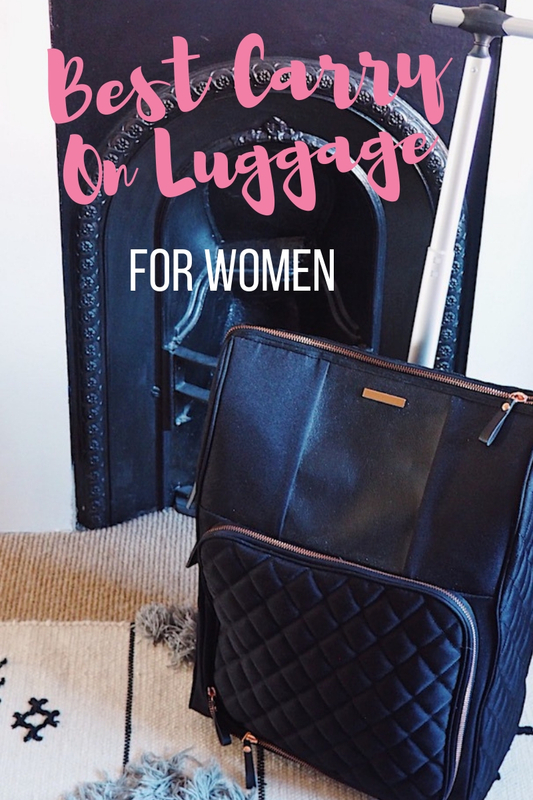 That’s why when the Travel Hack announced she’d designed the ultimate women’s carry on luggage I made sure I was one of the first to make a purchase. 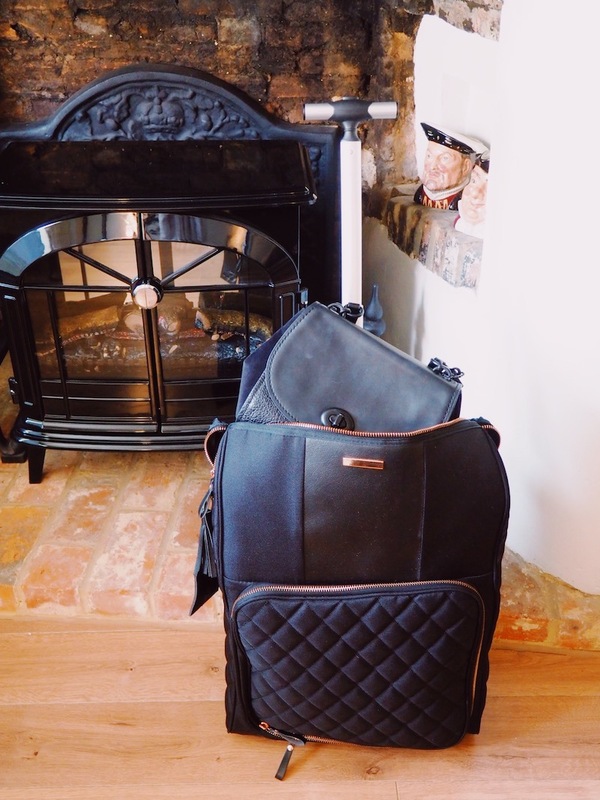 Several months down the line, and with several short and long-haul trips under its (luggage) belt, I can confidently say the Travel Hack Pro Cabin Case is the best cabin luggage I’ve ever travelled with. 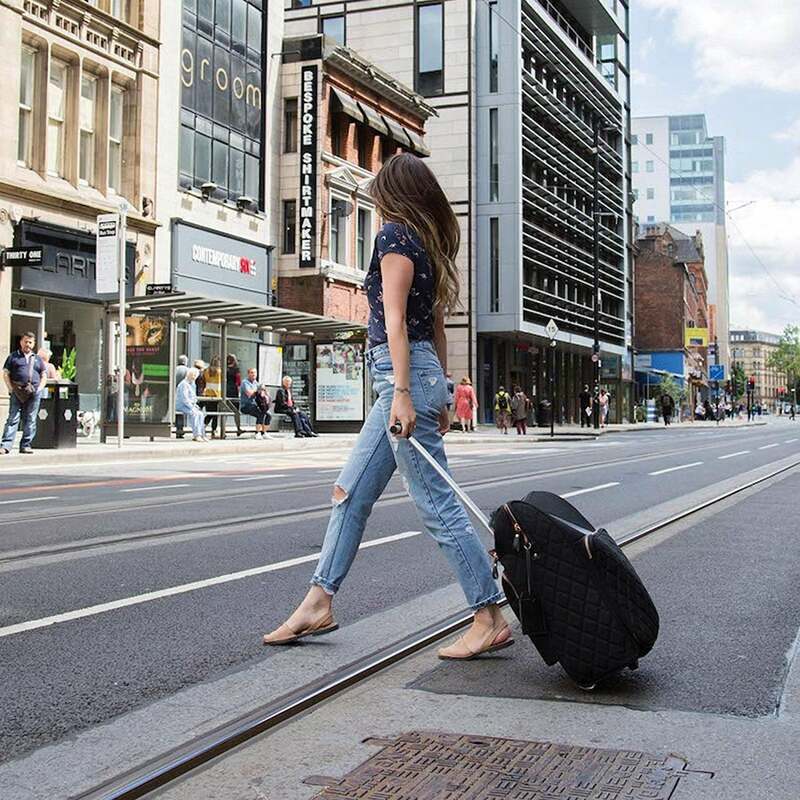 With a genius handbag compartment, separate laptop sleeve and chic design – ALL FOR UNDER 60 QUID – any female traveller would be crazy not to love it. I’m going to start with what is my favourite feature of this cabin case – the top pocket/handbag compartment. If you’ve ever flown with a budget European airline (boo) you’ll immediately know what a lifesaver having a compartment you can bung your handbag in come boarding is. Aside from getting one up on boarding agents, this top pocket is incredibly handy when flying long-haul, especially if you want to make it through security without flapping. When we moved from Oz to the UK with most of our worldly belongings it was so reassuring to know all the important bits were safe in the main compartment and all the gadgets and toiletries I needed to take out for security (twice!) were ready to go in the top pocket. I don’t know about you but I hate having to open a hard cabin case at security – risking paperwork and dirty laundry flying out as you rummage for your Kindle – so having all these bits in an easily accessible compartment is amazing. 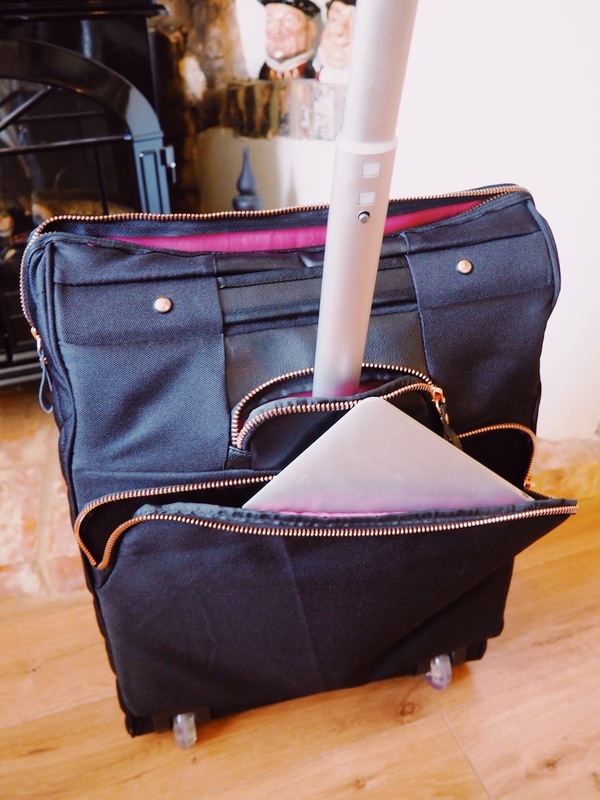 Similarly, there’s no need to wedge your bag awkwardly on the plane seat while hunting for your flight socks – just pop everything you need for the flight in the top pocket and you’ll never have to lie the bag flat to open it mid-journey. In short, I never knew a pocket would change my life but it did. With a plush padded exterior, hot pink lining and rose gold detailing, this case has been designed with the fashion loving female traveller in mind and I’m all for it. In fact, I’ve never been complimented on my luggage as much as I have when travelling with the Travel Hack Pro Cabin Case. On every trip I’ve done with it I’ve been stopped at least twice to ask where I got the case from – even from check in agents who see all sorts of luggage day in day out. You can easily fit a weekend’s worth of clothes, including a spare pair of shoes, in the main compartment and there’s separate little homes for your laptop, documents and water bottle too. It’s light (2.7kg) and easy to move, albeit not as nimbly as a case with 4 wheels. Unbelievably for something so good, this cabin case is super affordable. Buy now on Amazon or ping this link to your mum/partner and ask for it for Christmas like I did! *For delivery outside the UK head here.